Despite being highly preventable, the most widespread chronic disease is gum disease. The links between your dental health and your general health are tremendous. A build-up of bacteria caused by dental disease may increase your risk of other kinds of disease and serious health problem across your body. “The link between oral health and overall health is well documented and backed up by robust scientific evidence. Despite this, only one in six people realises that people with gum disease may have an increased risk of stroke or diabetes. And only one in three is aware of the heart disease link” ~ Dr Nigel Carter, CEO British Dental Health Foundation. So, what are the dangers? Inefficient brushing and flossing to remove plaque (food debris and bacteria) lead to gum disease. Gum disease can cause inflamed and bleeding gums. If left untreated it could progress to periodontitis and gum recession (where the gum tissue is reduced so the roots of the teeth become exposed), loose teeth and bad breath. In some patients who are susceptible to gum disease, the body overreacts and causes too much inflammation. In others, the inflammation doesn’t clear up properly and as a result, it affects bloodstream. There is a possibility that slowly, over time, the untreated dental disease could damage blood vessels in the heart and the brain. 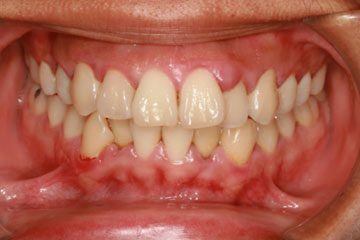 Inflamed and bleeding gums will progress to periodontal disease if left untreated. Periodontal bacteria can release toxins into or travel through the bloodstream and aid formation of fatty plaques in the arteries. These plaque deposits can lead to serious problems, such as blood clots, which can block blood flow. Additionally, the presence of these bacteria will cause the liver to produce proteins which inflame the blood vessels. Inflammation eventually could lead to a heart attack and other heart diseases. 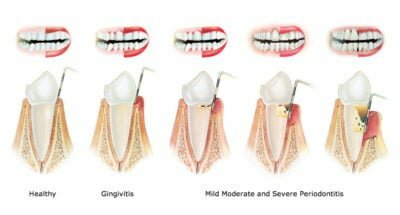 Gingivitis (bleeding gums) can progress into varying stages of periodontitis at different rates for different people. Therefore, it’s important to stay on top of your oral health with dental examinations and routine dental hygiene appointments. Your dentist and hygienist will set an appropriate recall for you specifically in order to keep a handle on your gum health. Your diabetes will have an effect on your dental health, not the opposite way around. 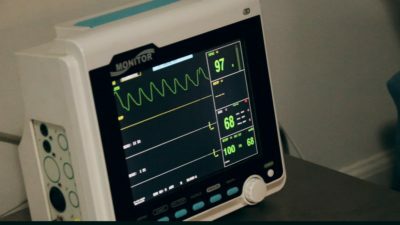 If you have diabetes you need to be mindful of your blood sugar levels and understand the implications of poor control and high blood sugar levels. If you have poor control of your blood glucose levels you are more likely to develop dental health problems. High blood sugar levels may affect the time the gums take to heal and can increase your risk of developing dental diseases like gingivitis and decay. There is a long history of links between dental health and dementia. Yet, a late study is the first to actually pinpoint bacteria from the mouth in the brains of people with dementia. The constant activation of the immune system puts it under strain and long-term inflammation can cause premature ageing and disease. 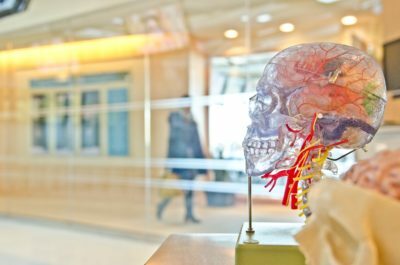 A 2018 Study in the US has strengthened the evidence of a link between gum disease and increased risk for future stroke, showing a graded relationship with the extent of gum disease and stroke risk, and in addition found that regular dental care was associated with a lower stroke risk. 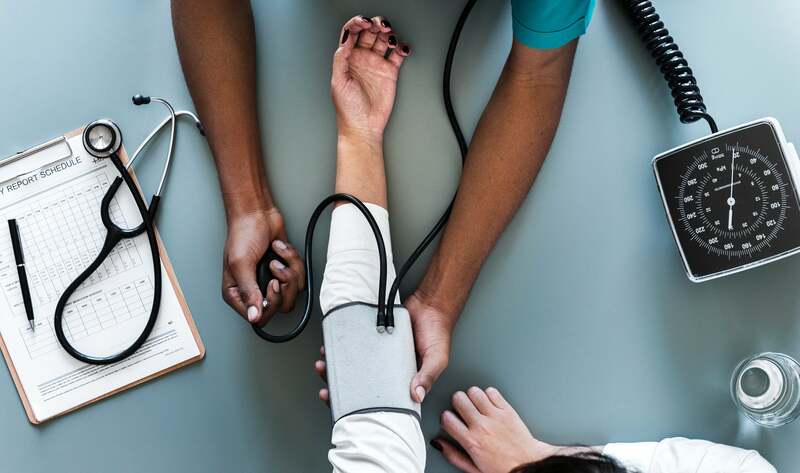 “It appears that good dental hygiene can do more than just keep your teeth and gums healthy — it may also lower your risk of heart disease and stroke,” Dr Souvik Sen, MD, University of South Carolina School of Medicine. Periodontal disease is a chronic inflammatory disease caused by bacterial colonization that affects the soft and hard structures that support the teeth, which is graded by severity. As previously mentioned, the periodontal bacteria can enter the bloodstream causing thickening of plaques in your arteries. This also becomes a risk factor for stroke. Rheumatoid arthritis is an auto-immune disease caused when the body mistakenly attacks healthy tissue. These same periodontal bacteria drive the production of proteins, which initiate this attacking response. Rheumatoid arthritis can takes years and even decades to develop. By this time, it is too late to treat the periodontal disease that’s caused the attacking response. So, a diligent oral hygiene regime not only protects your teeth but your general health too! Know that nothing replaces physical removal of plaque.